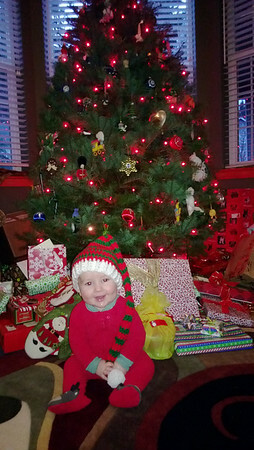 What a wonderful first Christmas with Cooper. 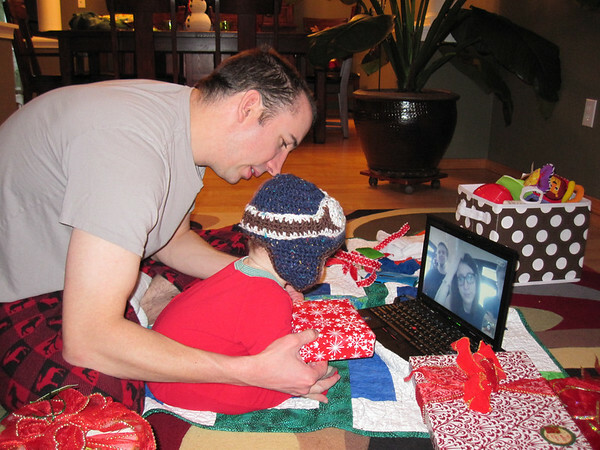 In the morning we Skyped with Rob’s family and opened presents together. Here Cooper is modeling his custom pilot hat knitted by Nana. 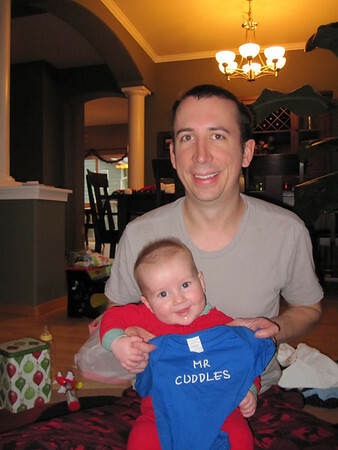 Rob’s nickname for Cooper of Mr. Cuddles appears to be sticking for the duration 🙂 We received some adorable outfits for Cooper to display this nickname proudly. 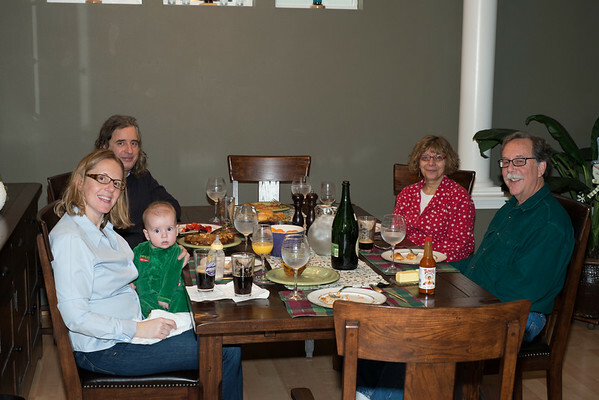 We celebrated Christmas with Dimitri, Grandpa and Grandma Valerie over a yummy brunch. The full set of Christmas pictures is here.